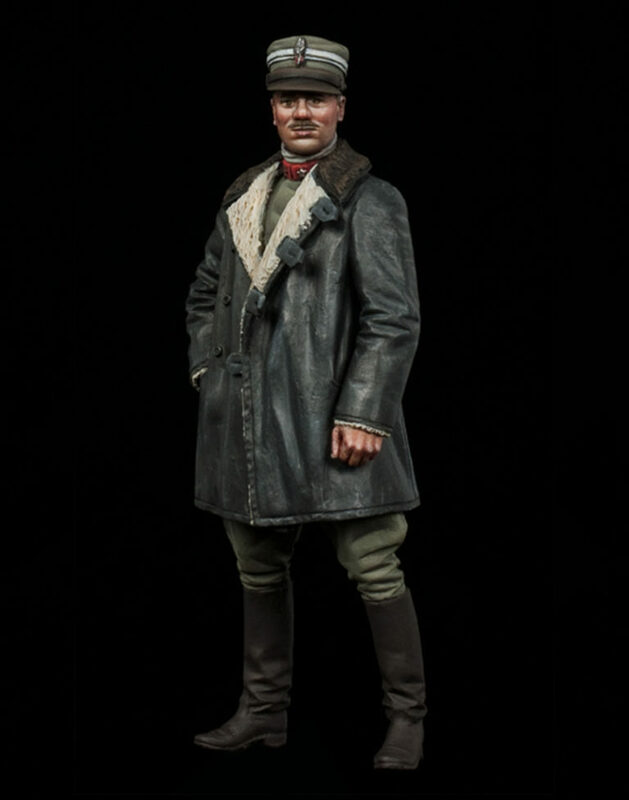 The Model Cellar would like to announce the newest release in our 1/32 scale WWI Range: Famous Italian ace Francesco Baracca. We had previewed this figure at the MFCA show back in May, and now it is officially on our website and ready for orders. Sculpted by Mike Good, the likeness is 'spot on'. Anatomy and proportions are perfect. And, the tiniest details are clean, clear and crisp. Thanks for posting the pic. I couldn't figure out how to do it =). No problem, Paul. If you have a pic posted somewhere online, like your online shop, its pretty simple. I will PM you instructions later. Pose him next to a 1/32 Ferrari, see how many people get the connection.